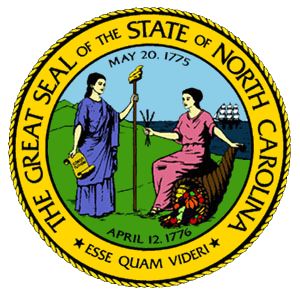 Bus leasing and rental in North Carolina should not be a hassle to get through. Here at National Bus Sales, we have streamlined the process of renting and leasing buses so you don't have to deal with the headache anymore. With a line of quality buses available all throughout the year, you will have plenty of options to choose from right here. National Bus Sales offers the best bus leasing and rental options in the country, period! We work with big names like Starcraft, Federal Coach and Glaval to provide the top buses for lease, rent, and purchase to our customers. Most of our buses for lease come with comfort and convenience features, like A/C, lifts, audio/video and reclining seats. You know you're getting a good deal when you work with us. All of our rental buses are inspected before they leave our lot to ensure that they are safe to drive. We stand behind the buses we have for rent, so you never have to worry about being stuck in a bad situation. We have school buses, church buses, daycare buses, shuttle buses, and so much more at National Bus Sales. We offer monthly and yearly bus rental and lease contracts for North Carolina, so you can get the bus you need for however long you need it. If you want to rent something for a few months or a few years, we have the flexibility to make that happen. At National Bus Sales, we also have a bus financing department that can help you get into a new or used bus that is all your own. Simply fill out a credit application, and we will see what terms we can work out for you. We have multiple lenders that can work with you. To learn more about our bus leasing and rental program in North Carolina, call National Bus Sales today @ 800.475.1439. One of our customer service representatives will be more than happy to help you.